As campaigns targeting energy-related investments continue to emerge across the west, officials in the region are pushing back against such policies. Bank of the West is based in San Francisco and is a subsidiary of the French Bank, BNP Paribas. As a part of this transition, Bank of the West says it will no longer finance fracking or oil sands development and will transition “away from relationships with companies who produce more than half of their revenue through this form of energy production and exploration.” The bank will also cease doing business with “producers, distributors, marketers, or traders focused on oil and gas from shale or oil sands” and will no longer finance Arctic exploration. 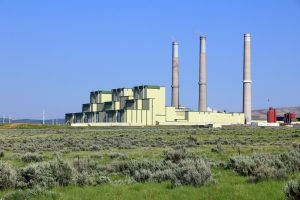 But the move is generating pushback from energy producing communities and states, including Wyoming and Colorado. U.S. Sen. John Barrasso (R-Wyo.) , chairman of the Senate Committee on Environment and Public Works, wrote of his “profound disappointment” with the new policy in a letter to Bank of the West CEO Nandita Bakhshi. “It is a serious mistake to pick winners and losers in energy markets, especially to the detriment of your own customers,” the letter continued. In response to Bank of the West’s new policy, County Commissioners in Moffat County, Colo. announced plans last week to pull accounts and transfer funds to a different bank. Commissioner Don Cook said the decision was made to show support for the community—where the coal industry is very important economically. In Craig, Colo., which is the largest town in Moffat County, Bank of the West Branch Manager and Vice President Stacy Razzano made public her intentions to step down in protest after a 27-year tenure with the bank. “It’s been heartbreaking for me. It’s just been really sad to watch this, however I felt that I needed to take this stance for my community and my family,” Razzano told CBS4. The pressure is building for large institutional investors to integrate social considerations in investment decisions. The campaign to compel large funds to sell fossil fuel investments started on college campuses in 2011 and has expanded nationally to local, city, and state pension funds. Advocates say that investing in areas like renewable energy and Environmental, Social and Governance (ESG) factors will ultimately produce better returns in the future and take a stand in the fight against climate change. Environmental group 350.org started a petition calling on the Colorado Public Employees’ Retirement Association (PERA) to divest from fossil fuels last month. “Not only is the public funding of the climate crisis of grave concern, so is the financial risk of fossil fuel investments to state pension beneficiaries,” the group posted on its website in July. “The Divest-Invest movement is critical in shifting the current status quo and disrupting the social license that the fossil fuel industry currently has to continuously extract and pollute,” the message continued. But a new economic report released this week shows that divesting from fossil fuels could cost PERA up to $50 million per year at a time when the fund is struggling to regain long term solvency. The report, which was commissioned by the Independent Petroleum Association of America, analyzed PERA’s holdings with and without investments in oil, natural gas, coal, and utilities and compared those returns annually and over a 50-year timeframe. The study found that if PERA sold all investments in the sectors, the fund would effectively miss out on returns ranging from $36 to $50 million per year, or 0.15 – 0.22 percent. The report’s authors also calculate that over a 50-year timeframe those losses would add up to $470 billion to $646 billion. The higher estimates include all divested fossil fuel equities, plus utilities. According to the report’s authors, the losses are due to reduced diversification in the portfolio. PERA itself has been facing steep financial shortfalls for years, with unfunded liabilities hitting $32.2 billion last fiscal year. Some estimates concluded PERA only had enough assets to cover 46 percent of all monetary commitments. In June, Colorado Gov. John Hickenlooper signed legislation that aims to restore PERA to full funding over 30 years. To do so, SB 200 will require increased contributions from both employers and employees. The state will also allocate $225 million in funding annually. The law also mandates a raise in the retirement age for new workers and a reduction of annual cost of living increases. While the divestment campaign is not new to Colorado, it has failed to achieve much traction in the region. Many divestment targets have turned down repeated proposals and requests for both financial reasons and practicality concerns. The University of Colorado Board of Regents voted in favor of maintaining neutral investment policies in in 2015 by a tally of 7-2. Colorado College and Colorado State University have also opted not to divest. No major state pension fund in the nation has adopted a full divestment policy, though some have removed holdings in specific sectors like coal or oil sands. Sharf says that fossil fuel divestment could derail the recent progress made on restoring PERA’s funding and financial viability. “You’ve now just passed that [SB 200] to get back onto the path of being funded at some point in the future. Now you’re going to turn around and make that harder,” he told Western Wire. “You’ve made the system that much more fragile again, right after you’ve worked to try to make it robust,” Sharf added.